If you want to treat yourself with something delicious and naturally sweet, go for the milk shake from the recipe below. The preparation of this drink takes literally only a few seconds. I just combined strawberries, banana and almond milk. Adults and children will all enjoy it. Ingredients you need for making strawberry and almond shake. How to prepare banana and almond milk shake. Wash the strawberries, peel them from the stalks. Peel the banana and slice it up. 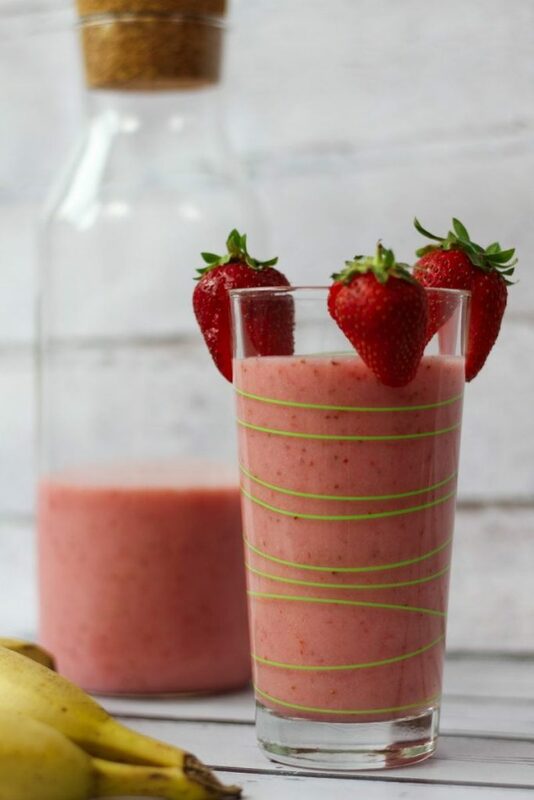 Put the strawberries and the banana into a blender. Add almond milk and blend them. Cool in the fridge before serving. 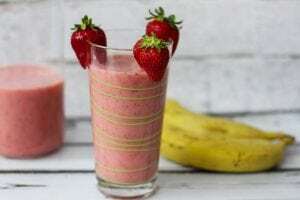 What you need to know when making strawberry shake. I used roasted almond milk. You can substitute it with coconut milk or regular milk. Strawberries can be replaced by raspberries, blueberries or wild strawberries. Do you like strawberries? 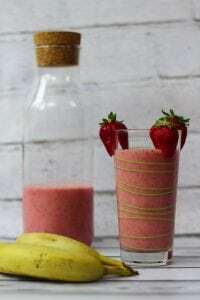 If yes, try our recipe for Flavored strawberry water.